Many visitors to Morocco cannot help but be impressed by the country’s culinary scene, with delicious tagines, meaty brochettes, steaming piles of couscous, and varied regional specialties to savor. Moroccan cuisine typically uses fresh, locally grown ingredients and an assortment of spices to give plenty of flavor. Most dishes are accompanied by bread—Moroccans love bread! Several cooking schools, riads, and restaurants provide the opportunity for visitors to learn how to recreate their favorite Moroccan dishes back at home. A great experience for foodies, here are some of the best cooking classes in Morocco. The not-for-profit Amal Centre is a terrific way to both learn some new culinary skills and help to support the local community at the same time. The center teaches local women from disadvantaged backgrounds how to cook, allowing them to then find work in one of the cities many restaurants and cafés. There is an onsite restaurant where you can taste an array of delicious Moroccan favorites, and the cooking school is the perfect way for anyone visiting Marrakech to dip their toes into the world of Moroccan cooking. During the lesson, participants learn how to cook a main dish. Groups then enjoy the fruits of their labor and receive a recipe card to remind them how to make the dish at home. Classes are available in various languages. 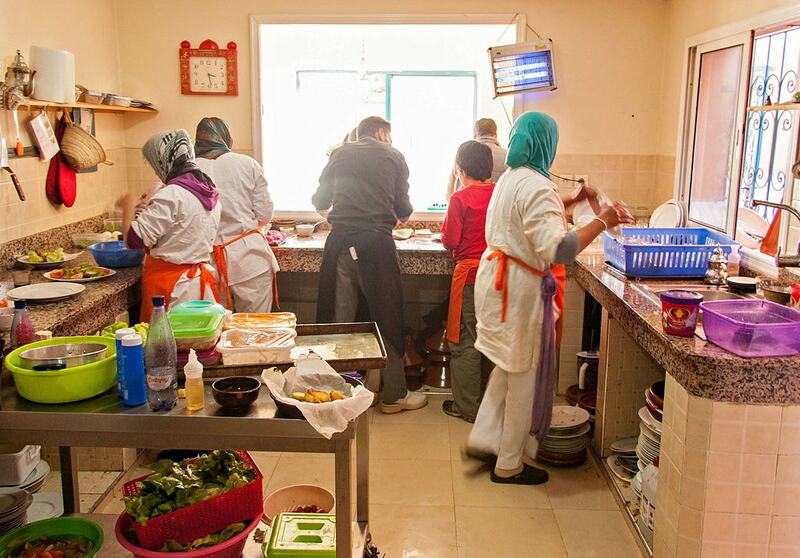 Another cooking school in Marrakech that has community aims at its core, this not-for-profit organization allows tourists to learn skills in a Moroccan kitchen while also assisting Moroccan women in developing literacy skills and essential skills for the workplace. Visitors can learn traditional recipes that have been handed down through the generations. Multi-day courses are available for greater exposure to the nation’s cuisine. Courses are often booked as a package, including accommodation in a riad in the heart of the medina and diverse trips. La Maison Arabe’s cooking class begins outside of the kitchen with a trip to a local market. Learn more about traditional ingredients as you buy supplies. Participants then return to the high-class hotel and, at an individual workstation, are taught how to cook authentic Moroccan fare. Dishes made include zalouk, a cold aubergine salad, tagine, freshly baked bread, and a Moroccan desert. When everything is ready, participants eat their creations on the tranquil patio. A translator ensures that all details are fully understood throughout the session and monitors at the workstations make it easy to follow exactly what the class leader is doing. For a truly authentic and unique cooking experience in Morocco’s Red City of Marrakech, few places could beat the novel concept of Traveling Spoon. Rather than running classes at one set location, participants are matched with carefully vetted families who will teach people how to cook local dishes in their own kitchens. The company operates in various global destinations and hosts are available in Casablanca as well as in Marrakech. The friendly Khadija’s Kuzina in Essaouira is another place where you can cook Moroccan meals in a local person’s home. Informal and informative, groups are generally very small, with around two to four people, letting you really benefit from one-on-one time with the host. Lessons can be tailored to meet individual requirements, so if there’s a particular dish that you’re burning to create, this would be a great choice for you. You can learn how to prepare vegetarian-friendly dishes and meal that are free from gluten, too. Atlas Kasbah Ecolodge is an award-winning, eco-friendly, and sustainable accommodation option in Morocco’s popular seaside city of Agadir. Visitors can take part in a wide selection of activities, ranging from learning traditional Moroccan skills such as making tadelakt and pottery, language classes, and wildlife watching, surfing, hiking, and yoga. A favorite activity at the establishment is the hands-on cooking class, where people can watch, assist, and learn from Berber chefs, preparing meals according to oral recipes that have been handed down over the years. Classes are available for children too. Tiffi’s Moroccan Cooking School in Tangier teaches guests how to make genuine Moroccan meals during a personal one-on-one class. You can savor your creations at the end of the class. 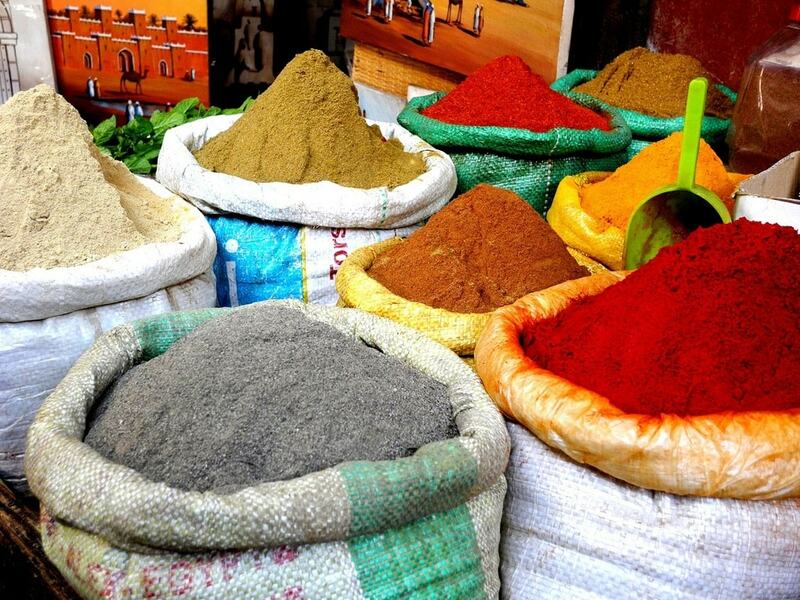 A variety of spices, like cumin, turmeric, cayenne, saffron, and cinnamon, can be bought to take home. The school offers other experiences too, such as enjoying Moroccan high tea, learning how to paint a henna tattoo, and dressing up in traditional kaftans. Small group cooking lessons are held at Riad Dar Ziryab, a popular accommodation and dining option in the old imperial city of Fez. Guests can enter the restaurant’s kitchen along with the hostess or one of her aides and learn more about Moroccan cooking in a relaxed yet professional setting. Lasting for half a day, participants will learn how to create one typical main course along with either a starter or a dessert. Lunch follows the class, where people can enjoy their dishes and chat with other participants over a glass of sweet and refreshing mint tea. You’ll start your class at Clock Kitchen in Fez with a welcome drink and introductions, along with a discussion about which dishes you want to make. You’ll then head out to the markets to buy fresh ingredients to make a three-course Moroccan meal. The choice of dishes for starters include harira, zalouk, and taktouka. 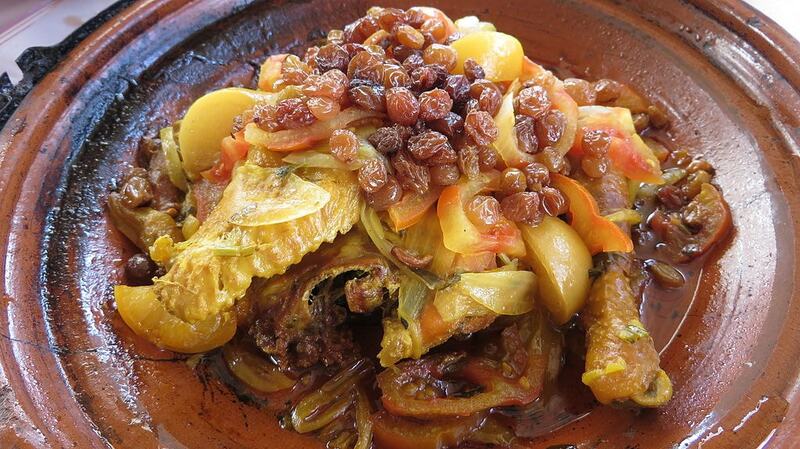 Main courses include vegetable couscous, various tagines, and chicken or fish pastilla. Clock Kitchen also offers pastry-making classes and bread-making lessons. A traditional Moroccan riad in Meknes, Riad Lahboul offers cooking lessons as well as a place to stay. Non-guests can take a class, though those staying at the property have the added benefit of receiving a discount on the class fees. Lessons can be taken for half a day, a full day, or for up to a week, depending on how in-depth you want to go with learning new skills. The professional kitchen has been recently extended and renovated, and participants can learn how to make traditional salads and main courses, bread, and Moroccan pastries. Optional trips to the bustling souk and community bread oven are available. There are cooking classes in many of Morocco’s other major tourist areas, including Chefchaouen, Casablanca, and high in the Atlas Mountains.